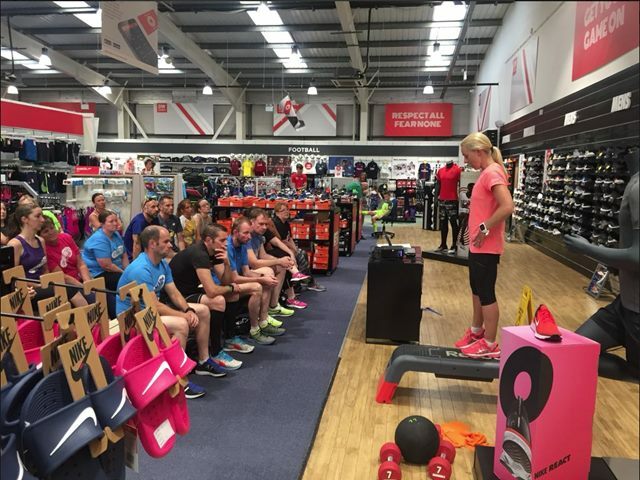 ON Thursday, 7 June 2018, DW Fitness First, in St Helens hosted an fantastic event with Great Britain Athlete and World and European Medallist Jenny Meadows. DW Fitness First is the official retail and fitness partner to the 4 athletics and running home nations (England Athletics, Scottish Athletics, NI Athletics and Welsh Athletics) and the evening event was a fantastic opportunity for guests to learn more about the partnership and how DW Fitness First are working locally with Run Together groups. 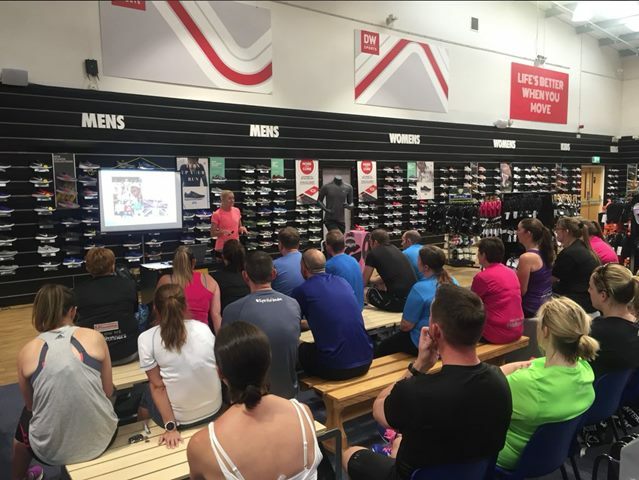 At this exclusive evening event, that was being held in partnership with England Athletics, Jenny gave a talk about her exciting career and held a Q&A session for all those attending. 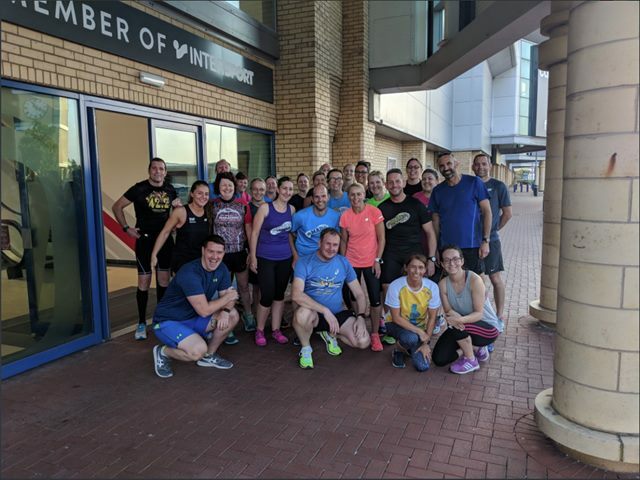 They also had a opportunity to run with the British athlete after Jenny offered a short session on physical preparation for endurance runners, whilst the DWFF team was on hand to offer gait analysis. Did you attend this event? If you did please do email us and let us know what you thought of it, via emailing:- News24@SouthportReporter.Com. LIVING Well Sefton partners are offering a host of activities to appeal to men during next week's Men's Health Week. This year's event has a focus on men and diabetes and all the activities aim to encourage men to look at what they eat and how they keep active. In the South, Netherton Feelgood Factory and May Logan Living Well Centre in Bootle, have a timetable with the following for men to choose from: walking groups, craft and arts groups, yoga, gardening clubs and an informal mental health drop in. On Thursday, 14 June 2018, at the May Logan in Knowsley Road there is a men's sports group. Drop in from 1.30pm to relive your favourite memories from the world of sport. While on Friday, 15 June 2018, at the Feelgood Factory has a man's social club. For ₤1 you can enter the Man Cave, from 1.30pm. 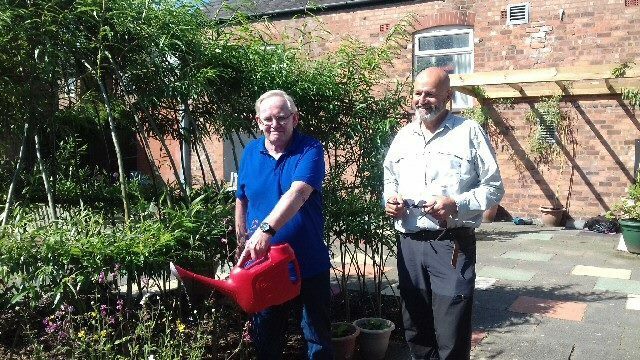 While in Southport, Brighter Living Partnership's men's group has lined up a week of taster sessions. Group member, Andrew Lloyd, says:- "Coming to the men's group has made such a difference. Before I would have just sat at home but now I'm mixing with people from all kinds of background and I get so much out of it." Anne Marie Morrison, Community Resilience Development Officer with Living Well Sefton, explains:- "During Men's Health Week we're giving a real taste of what we hope to offer for the rest of the year and we want men to come along, try them out, and then tell us what they'd like to get involved with." ► Monday; sign up for some cooking taster sessions. ► Tuesday morning; drop in and try your hand at the games club from 10.30am and treat yourself at the community café. ► Tuesday afternoon; drop in from 1pm for Steps to Health and Making Every Contact Count training sessions. ► Wednesday; Dave, a personal trainer, will be putting on a circuit training session (11am to 12noon) designed for all abilities and people are asked to sign up if interested. ► Thursday; a popular fixture at the centre is the lunch club at 12.30pm but book in advance as places are limited. ► Friday; remember your pop corn for Film Club from 1pm. For those who try out the taster sessions and become a part of the men's group there is also the chance to undertake training with the goal of becoming peer mentors. More details you can call Brighter Living Partnership on:- 01704 517818 or Living Well Sefton, on:- 0300 323 0181. Letter to the Editor:- "Green War on High Streets"
"DEAR Sir/Madam, What was most obvious to me watching TV reports of the fall of the House of Fraser was that most of their soon to be closed stores are situated in pedestrianised streets with no parking. I haven't shopped in my local department store in over 25 years due to the impossibility of getting my car within several hundred yards of the front door; preferring to frequent out of Town malls with a superfluity of free and convenient parking. It must be nice for the Green anti car lobby to smugly walk and cycle past the shuttered shops of our High Streets the death of which are largely due to their blinkered efforts." John Eoin Douglas.